Learning to read can be challenging for some children on the autism spectrum; however, the right teaching approach can make all the difference. If parents and teachers capitalize on the child's interests and learning strengths, it will be much easier to reach this important educational milestone. In order to receive an autism diagnosis, a child must meet certain diagnostic criteria, including impairments in communication, social interaction, and behavior. These three core areas of impairment can directly affect reading, so it's very important to keep them in mind as you work together on this skill. In addition, the best approach also focuses on a child's unique learning style. Special areas of intense interest, such as trains, timetables, math facts, or trading cards, can be a great source of joy for individuals on the autism spectrum. These special interests are also an excellent opportunity to capture a child's attention. For new readers, gather up several objects related to the area of interest. For each object, write the first letter of its name on a card and tape the card to the toy. Each time the child wants the object, ask him or her what letter it starts with. From there, move on to labeling the object with the entire word. Write a short, informational story about the child's special interest. Include a few facts the child may not already know, as well as many reassuringly familiar details. Work with the child to read this story. Choose books that focus on the child's interest. For instance, if the child loves weather, use books on storms or cloud types to work on reading. Reward progress with objects or information related to the special interest. For instance, once the child has learned ten sight words, he or she may pick a new trading card. According to Psychology Today, most people with autism also suffer from sensory processing disorder. This disorder affects an individual's ability to filter out extraneous sensory information, such as other kids talking or a dog barking outside or a strange smell. Additionally, it can lead children to perform some of the stereotypical repetitive behaviors, such as hand flapping, rocking, and spinning, that characterize the behavior portion of the autism diagnostic criteria. This over- and under-sensitivity can make it very difficult for a child with autism to focus on any task, including learning to read. Work on reading in a quiet, sensory-neutral space. Choose a dimly lit room with no posters or artwork on the walls. Sit on the floor together to work, and speak in a quiet voice. Try to identify whether the child is dealing with over-stimulation, under-stimulation, or a combination of both. An occupational therapist can suggest tools, such as weighted vests, vibrating pencil grips, chewies, and other products to help the child focus on learning. Many children learn better when they are moving. If it's available, try working with the child as he or she sits on a platform swing. Another great option is a rocking chair. 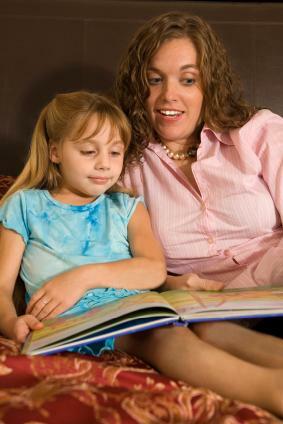 The movement may help the child attend to the reading. Take frequent breaks to provide the sensory stimulation the child craves. For instance, work on reading for ten minutes and then have a five-minute sensory break. Although it may seem counter-intuitive to interrupt work time so often, you may find that the child makes much better progress this way. Standard reading textbooks and curriculum may be great for typical learners, but children on the autism spectrum may not learn in the typical way. For instance, according to a study by the Penn State College of Medicine, the majority of children on the autism spectrum have strong visual perception skills. However, each child is different. For some kids with autism, visual learning is a significant challenge. These kids may have a strength in kinesthetic or auditory learning. The key to teaching reading to children with autism is to identify a child's preferred learning style and use materials designed for that style. If you're uncertain about where the child's strengths lie, you can try several different alternative learning products. Reading Mastery, a product of the textbook company McGraw-Hill, has a devoted following in the education profession. PCI Education offers reading materials for verbal and non-verbal students with autism. Special Reads is a program designed for children with Down's Syndrome, but the manufacturer says it is also very effective for children with autism. Many parents and special education teachers find that computer programs can also be effective in teaching reading to children with autism. A study in the Journal of Autism and Developmental Disorders also reported that children with autism also seemed to get more enjoyment out of computer-based instruction in reading. Click N' Read Phonics is a fun visual game that helps kids learn how the parts of words fit together. Computhera is specially designed to teach reading to children with autism. Because autism is a spectrum of disorders, every child with an autism diagnosis learns in a unique way. This means that what works for one child may not work for another. The most successful reading programs and educators work to capitalize on a child's individual strengths and overcome that child's personal challenges. Focus on the child's learning strengths, and try several methods for teaching reading to find the one that's right for your student.